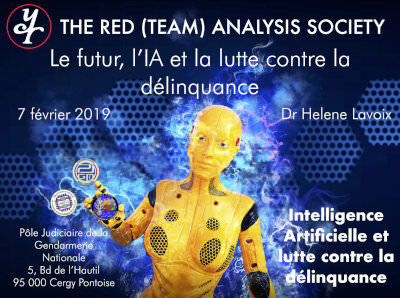 Dr Helene Lavoix is a Director of The Red (Team) Analysis Society and its founder. She holds a PhD in Political Science and a MSc in International Politics of Asia (distinction) from the School of Oriental and African Studies (SOAS), University of London, as well as a Master in Finance (Grande Ecole, France – valedictorian). She teaches global risk analysis/SF&W at MSc level at SciencesPo-PSIA after having taught in 2010 then in 2011 as Visiting Senior Fellow at the RSIS, NTU in Singapore. She also trains professionals either through taylor-made training courses for various organisations or in the framework of executive courses (e.g. Geneva Center for Security Policy, Vesalius College in Brussels, Royal Military Academy of Belgium). Prior to that, as an independent researcher, she has advised institutional actors and researched commissioned reports. She speaks at workshops and public conferences and publishes on anticipatory matters, from methodology to specific issues (e.g. methodology of strategic foresight, scenarios, indicators, timeliness, fragile states, Syrian conflict, social unrest and mobilization, war, genocide, energy security, etc.). 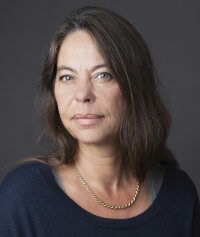 She has served as Senior Scientific Advisor to the Global Futures Forum (a multinational partnership of intelligence and security organizations at unclassified level), after having been the coordinator of the GFF SF&W Community of Interest 2008-2011 and lead of the corresponding online community 2007-2008. Previously, she served as an analyst in International Relations (Eastern Asia and Globalisation) for the European Commission, created and headed in Phnom-Penh the Cambodian branch of a NGO in the field of Development and worked in finance, as treasurer. SciencePo- PSIA: “Managing a Nuclear Disaster“, 5 Dec 2018: Commentary. International Conference on Quantum Computing (ICoCQ), France, Ecole Normale Supérieure, Paris, 26 to 30 November 2018: “The Quantum Battlefield and the Future“, Concluding keynote. RESO-COM, Digital Security et Identité, Mars 2018 – Keynote: “L’IA et la géopolitique“. IFRI – AXA fund for research: Workshop “Global political risks” 14 October 2013, Paris: “Introduction to Early Warning systems: process and challenge”. Einiras and SciencesPo Paris, “How to face change? Understanding the Past to Foresee the Future – Implications for information retrieval and sharing”, 21st Annual Einiras Conference, Changing Information Landscape in a Difficult Economic Situation, (on invitation only) -10-11 December 2012, Paris. Canadian Association for Security and Intelligence Studies (CASIS)/Association canadienne pour les études de renseignement et de sécurité (ACERS),– “Strategic Foresight & Warning: process & analytical methodology to explore new frontiers in Security and Intelligence” 2011 International Conference – Ottawa – November 2011. Délégation aux Affaires Stratégiques, Ministère de la Défense “What makes foresight actionable?” – Paris – May 2011. Civil Service College, Singapore, “Anticipating Strategic Surprises: An Introduction to Strategic Foresight and Warning,” CGL (Centre for Governance and Leadership, Managing in Complexity Series – January 2011. US Department of State, Homeland security, National Defense University, – “What makes foresight actionable?” Actionable foresight: Strengthening the Linkage between Longer-Term Analysis and National Security Decision-making – workshop II (on invitation only)– Washington DC – January 2011. RSIS Public Lectures Series, “Why Strategic Foresight and Warning? The case of Energy Security” – NTU – Singapore – April 2010. European Commission (RELEX), Talkshow “Enhancing Early Warning with Open Source Intelligence” Making the Difference – Conference –- Brussels – June 2009. European Commission – Club of Budapest (on invitation only), “Strategic Energy Security, some elements on demand” – Budapest – June 2009. European Commission – Club of Budapest (on invitation only) – “Early Warning: contemporary challenges” – Bucharest, February 2009. Canadian Association for Security and Intelligence Studies (CASIS)/Association canadienne pour les études de renseignement et de sécurité (ACERS), “Strategic Early Warning: Comparing Ways and Means” – 2007 International Conference – Evolution, Revolution or Same Old, Same Old? Reality Check on Security, Intelligence, Law Enforcement and Defence in 2007 – Calgary – September 2007. She is the author, among other publications notably for the Red (Team) Analysis Society, of “Ensuring a Closer Fit: Insights on making foresight relevant to policymaking”, Development (2014) 56(4); “What makes foresight actionable: the cases of Singapore and Finland” (confidential commissioned report, US government, November 2010), “Enabling Security for the 21st Century: Intelligence & Strategic Foresight and Warning” RSIS Working Paper August 2010, “Constructing an Early Warning System,” in From Early Warning to Early Action, European Commission, ed. DG Relex, 2008, “Detailed chronology of mass violence – Cambodia (1945 – 1979),” Online Encyclopaedia of mass violence, 2008 and the editor of Strategic Foresight and Warning: Navigating the Unknown, ed. RSIS-CENS, February 2011. More on academia.edu. Listed on the public list curated by LSEImpactBlog: @LSEImpactBlog/soc-sci-academic-tweeters. 1993: Warning the French and European diplomatic community in Cambodia that to promote a double prime-ministership would entail most probably a coup (it occurred in 1997) and potentially related civil disorders, to the least a slow down of the recovery process. 1998: Identification of deep-sea resources as future geopolitical issue. 1999-2000: Internal lobbying within the analysis and policy planning units and related directorships of the European Commission DG1 & DG Trade to see defence and international relations considered in an inter-connected way alongside trade and the launch of the Euro. Warning about connected highly likely political consequences worldwide of the financial and economic crisis. Warning about the need to revisit demographic foresight and forecast to include multi-feedbacks. Lobbying for developing global efforts in terms of strategic foresight and warning regarding the future of the modern state and associated system with at its core the crucial problem of public deficit. This is THE key that will condition the possibility for answering – at national, international, regional and global – any other pressure or threat.